FrostWire 6.6.4 Portable ~ Apps2Portable | Free Portable Apps for PC ! 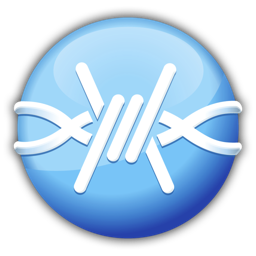 FrostWire is an open source, peer-to-peer file sharing program for the BitTorrent protocols. FrostWire is free program, and can be run on any computer with an internet connection, with very little minimum system requirements. Join millions of other file sharers and download unlimited music, movies, and games. A large variety of files can be found on FrostWire, and searching for them is quick and easy. Never again pay for a service that could be dirt cheap – if it weren’t being run by profiteering gluttons. FrostWire is written in Java. Gnutella support was dropped entirely, and now FrostWire only uses the BitTorrent network. You can now use FrostWire to send large files or entire folders to Colleagues, Friends and family. FrostWire performs a Smart Search upon the most relevant torrent search results that come from BitTorrent search engines, meaning it remembers every file contained by every torrent it scans increasing greatly the chance to find what you are looking for, super fast. As FrostWire fetches search results from the search engines, it uses these results to crawl the Azureus DHT to learn about the contents indexed by these torrents. FrostWire will not use the bandwidth of the search engines in this process, it will only use the torrent info hash to perform DHT queries, meaning, .torrent files are fetched only from the DHT, not from search engine’s web servers, it’s searching powers will not depend from a central entity. The project was started in September 2005 by members of the LimeWire open-source community, after LimeWire’s distributor considered placing “blocking” code, which it was developing in response to RIAA pressure and the threat of legal action, in light of the U.S. Supreme Court’s decision in MGM Studios, Inc. v. Grokster, Ltd. When eventually activated, the code could block its users from sharing licensed files. FrostWire was first released in October 2005. • No Spyware. No Adware. Guaranteed.